Mahiru Hiiragi is the love interest and the demon weapon of Guren Ichinose. She was also the next successor to the main house until she turned into a demon weapon called Mahiru-no-Yo. 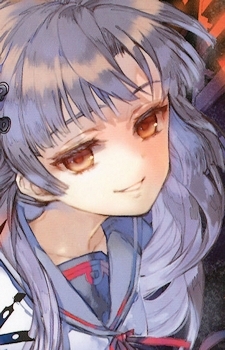 Mahiru along with her younger sister Shinoa, were conceived through artificial insemination using the seed of Tenri Hiiragi in a demon-possessed woman. Growing up, she saw visions of the future and even prophesied the end of the world on Christmas Day 2012 as God's punishment against human ambition for meddling with the taboo. The trumpets of the Apocalypse would sound, and the Seraph would descend. Later on, her research on demons eventually turned her into one until Guren killed her. She became the demon within his Cursed Gear and part of the Black Demon Series.